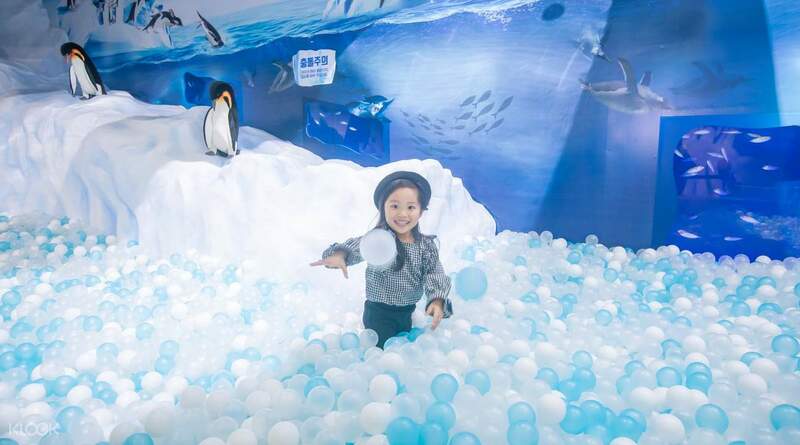 Enjoy a snowy playground at SEA LIFE Busan Aquarium featuring ball pools, igloos, and the new Bingo Zone! Don't forget feeding time with the penguins and the cheeky otters! Getting access to the aquarium was very convenient. The staff was friendly and accommodating. We enjoyed the place and the events we watched during our time at Sea Life. 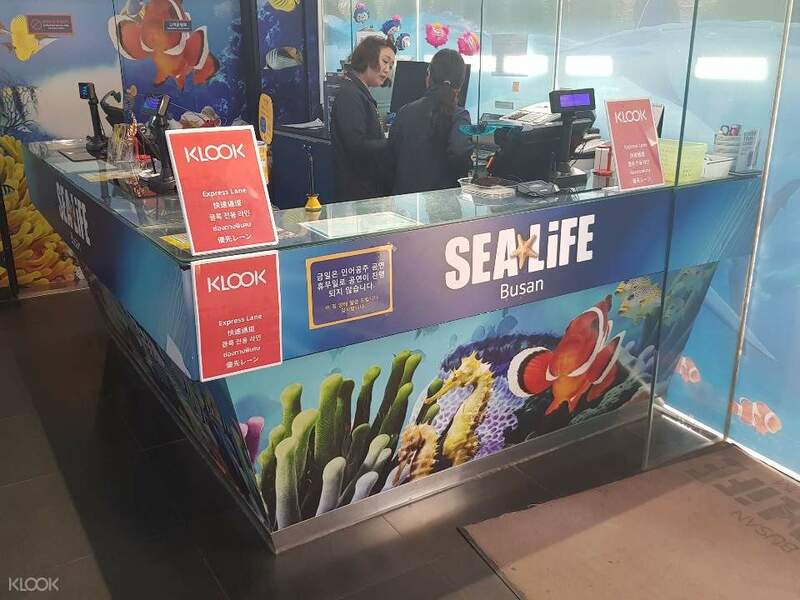 A visit to SEA LIFE Busan Aquarium is the ideal way to discover the secrets of the oceans depths and learn more about some of the most misunderstood creatures in the seas. Upon arriving, have no worries when redeeming your ticket – simply go to the Klook exclusive skip-the-line lane and avoid the hassles of queuing! With its mission to preserve marine heritage for future generations, come and visit the 250 marine species, and over 10,000 aquatic animals from the murky waters of the Amazon, to the waters of the deepest oceans. 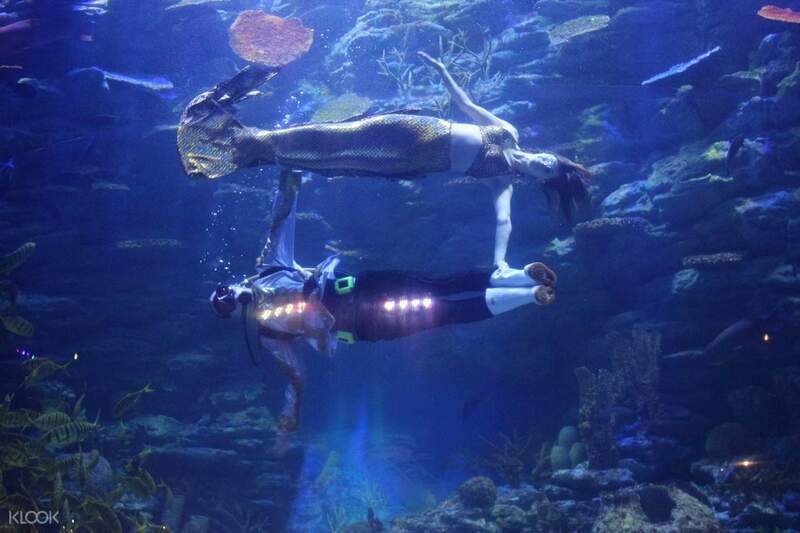 Walk with the in the amazing 180 degree ocean floor glass tunnel and see the sharks during their feeding time! If that's not enough, spend the rest of your visit watching the penguins and cheeky otters at feeding time in state-of-the-art facilities. Plunge into a bubbling ball pit enjoyable for all ages! 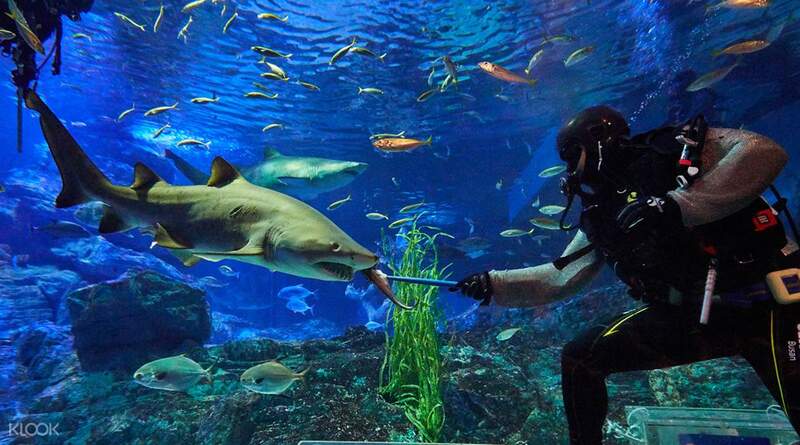 Take part in a shark feeding session! Walk with the fish in the amazing 180 degree glass tunnel! Aquarium have a variety of fishes and waterfall. The ticket counter is so easy to find and get tickets. If you go by group then you can will get the discount. The ticket price at counter is 29,000/adult. Aquarium have a variety of fishes and waterfall. The ticket counter is so easy to find and get tickets. If you go by group then you can will get the discount. The ticket price at counter is 29,000/adult. My daughter and I also have the same thought that Busan Sea Life Aquarium is the best aquarium we’ve ever seen! 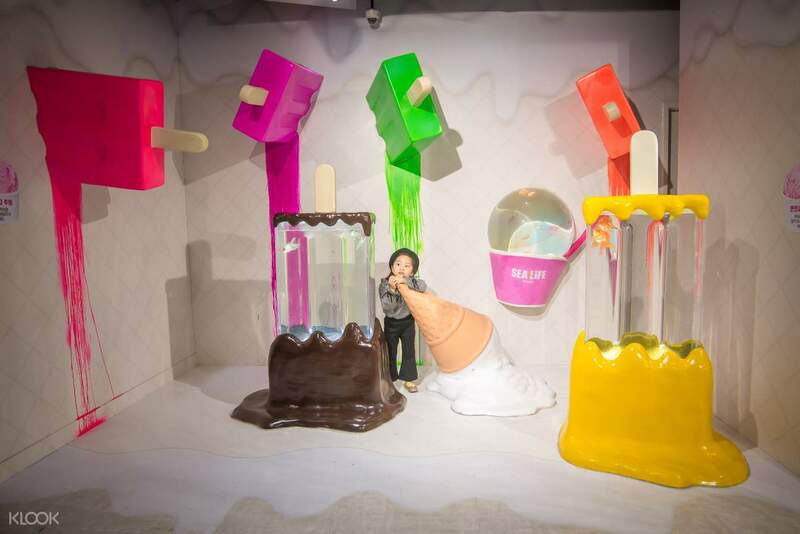 We like the interactive and educational activities designed for children! Such Sealife rescue, dancing penguins... extra pay for Glass Bottom Boat is worth that can get so close the sea turtles and sharks! 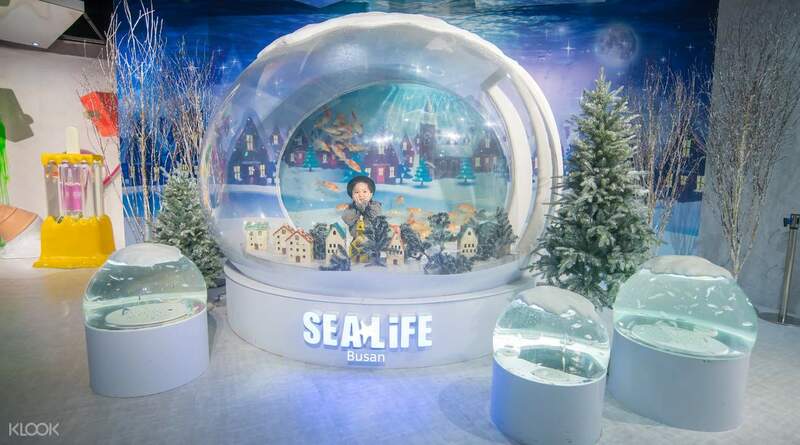 My daughter and I also have the same thought that Busan Sea Life Aquarium is the best aquarium we’ve ever seen! We like the interactive and educational activities designed for children! Such Sealife rescue, dancing penguins... extra pay for Glass Bottom Boat is worth that can get so close the sea turtles and sharks! The aquarium was small but was very well layed out. The fish tanks was nicely designed and had a variety of things from seahorses, jelly fishes, crabs and the bigger guys - turtles, sting rays and sharks! They had some shows running like feeding otters and sharks. The coolest thing was they had an activity where you have to pay for entry to get on a boat. It had clear glass on the bottom, so you are able to see sharks and the other fishes swimming around beneath you, was a very thrilling experience. But we were very terrified of the sharks.. The aquarium was small but was very well layed out. The fish tanks was nicely designed and had a variety of things from seahorses, jelly fishes, crabs and the bigger guys - turtles, sting rays and sharks! They had some shows running like feeding otters and sharks. The coolest thing was they had an activity where you have to pay for entry to get on a boat. It had clear glass on the bottom, so you are able to see sharks and the other fishes swimming around beneath you, was a very thrilling experience. But we were very terrified of the sharks.. I love it here. suitable to bring your children. There's so many species of fish and it was located at the Haeundae Beach. Staff can speak English. I love it here. suitable to bring your children. There's so many species of fish and it was located at the Haeundae Beach. Staff can speak English. The aquarium in Busan was amazing! I saw lots of different types of fish as well as different types of corals. Definitely worth seeing! The aquarium in Busan was amazing! I saw lots of different types of fish as well as different types of corals. Definitely worth seeing! Easy to find. Not too crowded and totally enjoyed ourselves . At the end still got ball pit for the kids to play. Easy to find. Not too crowded and totally enjoyed ourselves . At the end still got ball pit for the kids to play.